A 100 Bass is a 100 watt bass guitar amplifier. A 100’s pre-amplification utilises a combination of both passive and active tone control circuits, which allows for a wide range of adjustments of frequencies important namely for bass guitar. 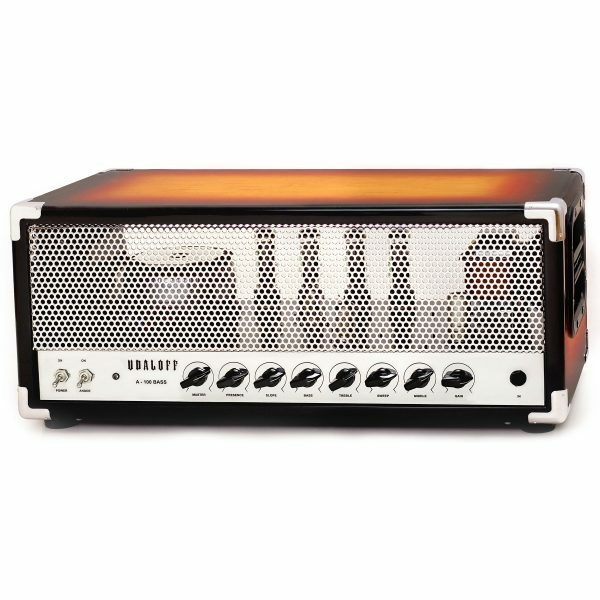 The amplifier will be useful in situations, when a punchy tone that can be precisely adjusted for the needs of exact mix is needed. The circuit is made using point-to-point wiring method and amplifier’s case is hand made. You can specify any type of toning in your order.